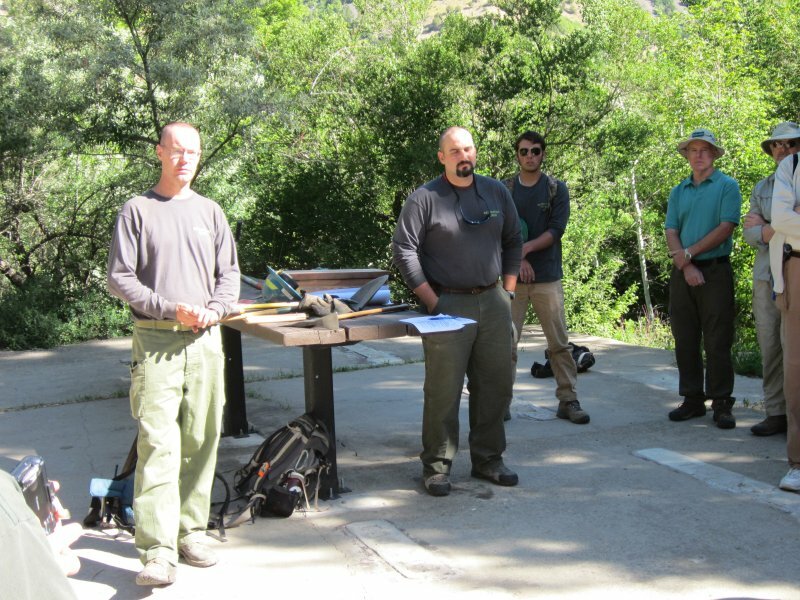 The Cache Hikers joined with several other groups to participate in the Logan Ranger District's "National Trails Day/Adopt-A-Trail Kick-off" for 2012. 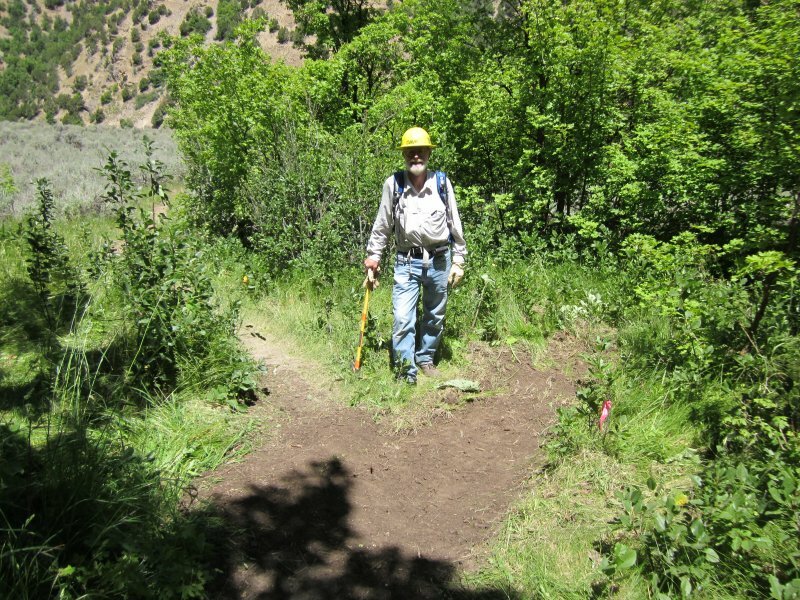 Usually these events, coordinated by the American Hiking Society, are held each year on the first Saturday of June, but local Forest Service scheduling issues meant a later date for us. Seven Cache Hikers participated; Dave W., Jane, Roddy, Gary, Brenda, Gordon and Ron. We carpooled up to Spring Hollow to alleviate parking, but there was plenty of room at the upper group picnic area. 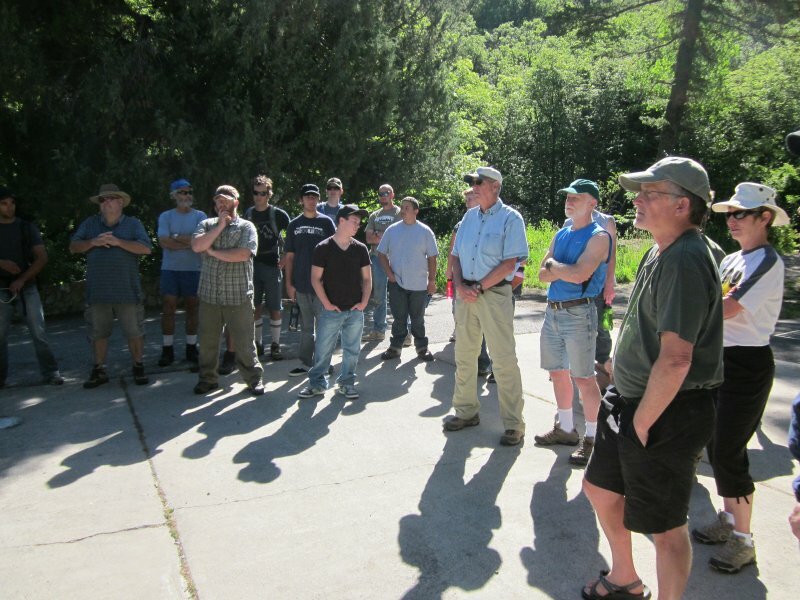 After a brief introduction, Logan Ranger District employees reviewed safety issues and procedures and led us to the Spring Hollow trail for hands-on training. 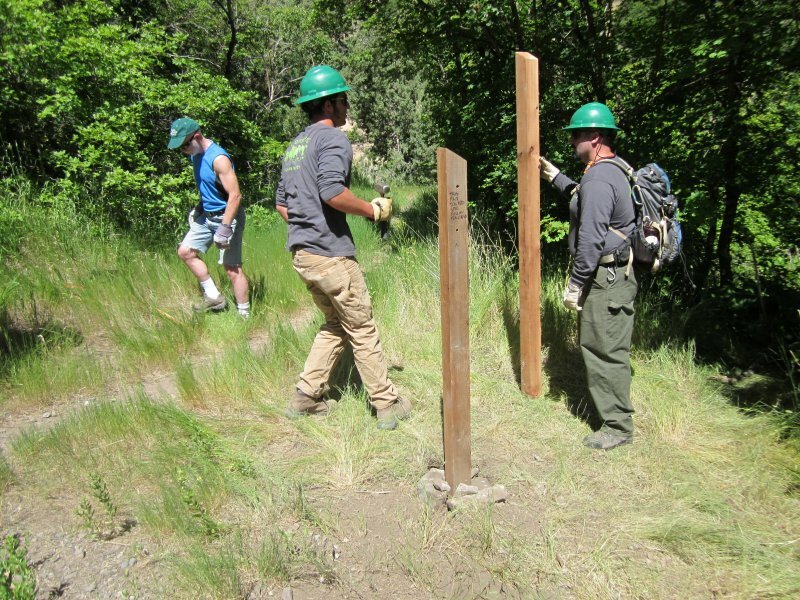 Here, we learned how to set signposts, how to dig drainage structures to control water erosion, how to keep trail users on the desired path, and the proper way to keep trails clear of brush and branches. We finished up by returning to the picnic area and formally "adopting" trails. The Cache Hikers chose the Card Canyon East trail, and Dave W. agreed to take on the Crimson Trail as a personal project. We need to have at least three Card Canyon maintenance events this summer, so expect to hear about more opportunities to get involved!